DA is like going to Harvard??? Discussion in 'SoCalScene' started by coachsamy, Oct 30, 2018. WTF Obama has to do with anything? Hahahahahahaha, US Soccer just cannot keep its foot from out of its mouth. This is laughable! Harvard? Is that due to the cost? Loser joe can't help himself. He has no other function in life. It’s a good thing my kid is getting a fabulous business with a minor in medical education at his club soccer practices. You obviously don't communicate with your wife. Elitism. The article comes off making US Soccer's DA program look elite/snobby/(we are better than you). In real life there is ALWAYS something to learn no matter who you are competing with or against. Life lessons can come in many forms and it is not always from the daily grind of competing against the "so called" best or the people who can afford to go to Harvard or play DA soccer. There is the pride for playing for your school and representing your student body and life long friends and competing against your cross town rivals. These are once in a lifetime experiences and to throw that away because some snobby beauracrat from US Soccer finds entertainment in belittling the rest of the soccer playing community is a shame. I have a dd playing in her first year of HS soccer (who is as good as some of our local DA players) and she is thrilled to death at the prosepct of putting on her schools jersey while playing the sport she loves as are most of her friends. It would be better soccer with the DA kids, but they have made their choices and I am thrilled for the less skilled kids who are getting a chance to play on one of their High School soccer teams because those players have gone MIA due to the elitism of US Soccer. Wow. That is the strangest comment yet from anyone at US Soccer. And there have been some very interesting comments in recent years. "Imagine you get into Harvard. You go to Harvard, and you’re in a very high-level environment. There are big group projects to work on that are crucial to your education. Those projects are going to help you learn how to handle huge stressful situations later in life. But then you want to take a few months off to go to a different school for a while. Think Harvard will be OK with that? You think that’s going to be beneficial to your Harvard education? " WTF are they talking about? I'm pretty sure that Harvard won't kick you out of school if you go and party at Penn State for a few months. 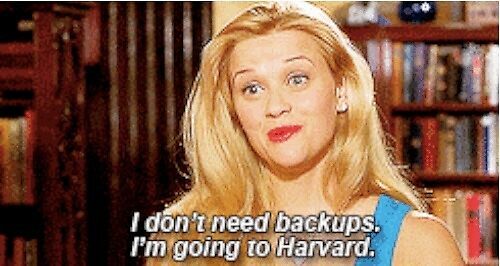 As long as you keep your grades up, I don't know that Harvard will give a crap. Escpecially if you are the smartest, most talented kid in the class. Go to Oxford and study for a few months. Go to Europe and learn about international trade. But don't you dare kick a soccer ball around with anyone that doesn't wear a Harvard sweatshirt. I like what you said. Except for the less skilled kids getting a chance to play high school soccer. There is plenty of talent that simply chooses not to play DA. Yes he is. If he can get through Harvard, how hard could it be? Still waiting to see his grades and find out who paid. I like what you said. Except for the less skilled kids getting a chance to play high school soccer. There is plenty of talent out there that simply chooses not to play DA. What I meant is that the less skilled kids that wouldn't make one of the three High School teams (those being Varsity, JV, Frosh) will now make one of those teams. I am in agreement that there is plenty of talent out there that simply chooses not to play DA (that was part of my point). Funny how the high school kids who go to “Harvard” in basketball, baseball and volleyball seem to do just fine taking a few months off to play at the “JC” level. Fish knows more about soccer than anyone in here. Imagine you get into Harvard. You go to Harvard, and you’re in a very high-level environment. There are big group projects to work on that are crucial to your education. Those projects are going to help you learn how to handle huge stressful situations later in life. But then you want to take a few months off to go to a different school for a while. Think Harvard will be OK with that? You think that’s going to be beneficial to your Harvard education? Furthermore, you’ll be leaving the members of your group without an important member of the team, while you take a few months to go do something else. It’s not fair to the group left behind. Additionally, it’s not going to be good for your own education. You can’t just leave for a few months. This is wrong on _soooo_ many levels. May I defer my admission once admitted? Yes. We want to do everything possible to help the students we enroll make the most of their opportunities, avoiding the much reported “burnout” phenomenon that can keep them from reaching their full potential. Our overall graduation rate of 98%, among the highest in the nation, is perhaps due in part to the fact that so many students take time off, before or during college. The Admissions Committee encourages admitted students to defer enrollment for one year to travel, pursue a special project or activity, work, or spend time in another meaningful way—provided they do not enroll in a degree-granting program at another college. Deferrals for two-year military service are also granted. Each year, between 80 and 110 students defer their matriculation to the College, and they report their experiences to be uniformly positive. After graduation, large numbers of Harvard students take time off before beginning work or graduate school. See more about taking time off. So the analogy fails on its face. But second, and more importantly, the emphasis on letting your team down if you take time off points to exactly what is wrong with the DA system. The team is not going to college. The team is not going to play for the national team. The team should not matter at all. What matters are the players. If playing high school is better for the player (for any reason) then the DA should encourage it. And lastly, my kid plays on a DA and let me tell you, it ain't no Harvard. US Soccer is drowning in its own nonsense and its fans (AND youth players) are left to suffer. Like going to Sunday School.....must conform, play 4-3-3 among other things is what my player told us when he started.